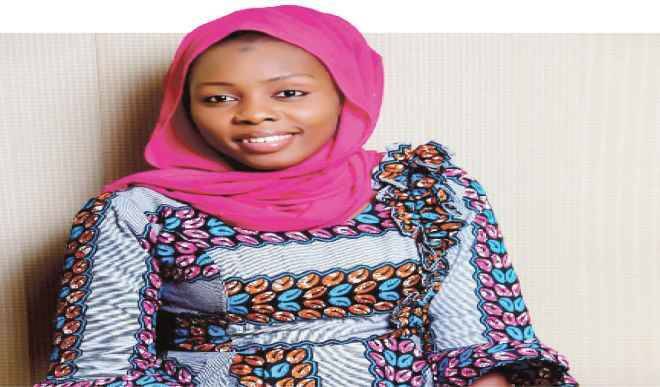 Weekend Magazine: How did you find yourself in Kannywood? Hauwa Mama: My acting career started the day I met a popularly Kannywood political singer, Dauda Kahutu Rarara. Before I met Rarara, I was staying with me aunty in Kano. We used to watch Hausa films. I then started developing interest to be an actress. I remember the day I was discussing Kannywood with my cousin, I told her about my dream of becoming an actress. She then told me she knows Rarara, and took me to him. When we met, he told that me he is not a filmmaker but could link me with some of the filmmakers. I am glad he linked me with Kannywood producer Usman Mu’azu. That’s how my acting career began. WM: What year was this and how has the experience been? Mama: I ventured into filmmaking in 2014 with ‘Duniya Labari.’ The film was produced by Usman Mu’azu. My acting career is moving in a right direction. I have so many rosy stories than hurdles and challenges. I met people who are guiding me and putting me on a right track. WM: How many films have you starred in so far? Mama: I have starred in about 40 films. Some of them are ‘RumfarShehu,’ ‘Gobarar Mata,’ ‘Malam Zalimu,’ ‘Tsakar Gida,’ ‘Nafeesa,’ ‘Sumayya,’ ‘Yau Da Gobe’ and ‘GidanAbinci,’ among others. WM: Of these films, which one do you most love? Mama: I love all the films I have acted in. But the one I love most is ‘Rumfar Shehu.’ The film changed my acting career for the better. I played a Yoruba woman who was married to a stingy and hot tempered Yoruba man. From the beginning I thought I would be unable to deliver my lines and artistic demands. But when we started shooting, my colleagues and I, including the director, were all surprised with my performance. WM: Now that you are popular, how do you manage with the public? Mama: There is a huge difference between my pre-acting and acting life. Before I could go out without thinking twice, I went anywhere freely. At that time, people wouldn’t even notice that Mama was there, but now it is impossible. I can’t go to the market for fear of being mobbed. Sometimes people who want to take pictures, also waste your time. You may have gone somewhere with the intention of spending let’s say 30 minutes. But with fans coming to you, if care is not taken you could spend two hours. Now, I am a public figure. People are watching me. The clothes I have wear, shoes that I wear and the bags that I carry. Managing stardom is more difficult that people can imagine. WM: Can we now say you have fulfilled all your dreams in acting? Mama: It is still a long way to go. But with what has been happening to me in Kannywood, I can say I am on the way to become a world class actress in no distant time. WM: Was your family supportive of your decision to go into films? Mama: I didn’t face that challenge. I informed my parents and friends about my dream of becoming a filmmaker. I discussed extensively with them and they advised me on what to and not to do. I am following their advices. I want to let them know that their advices have played a great role in my acting career and their advices have also served like a ladder that I am climbing on up in the industry. WM: How did you relax while onset? Mama: I want to be in company of my friends and colleagues, most especially in a location while onset. The jokes we crack and the stories we share always make me relaxed and comfortable. WM: Do you have the intention of producing films as some of your female colleagues are doing? Mama: I have already produced a film titled ‘Furuci’ under my company HSG Multimedia. I don’t want speak more on the film, but I am assuring viewers that the film will be a blockbuster that will thrill, educate and inform them when it was released. WM: Do you see yourself quitting at some point? Mama: To be honest I don’t know the day that I would quit acting. It can be tomorrow, it can be in a hundred years. It is only God who knows when I would quit acting. But for now I want to use the time I have to change the lives of people through acting.